Everyone organizes their smartphone homescreens a little differently, giving their favourite apps prime real estate and tucking others away in folders or hiding them on other pages. 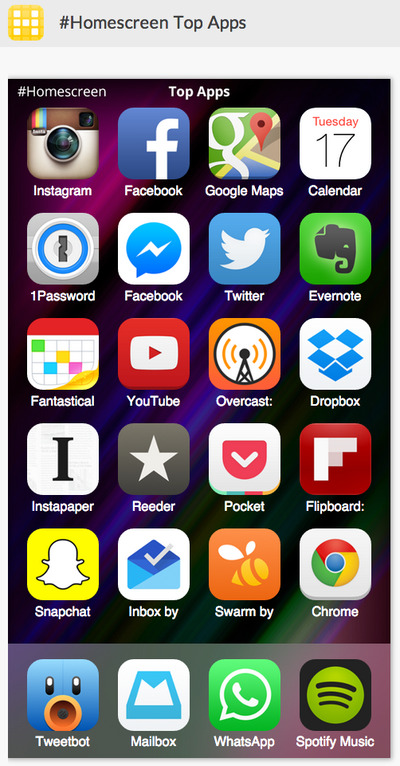 Homescreen is the newest app from Betaworks, the company behind Digg, Instapaper, and Dots. The concept of Homescreen is simple: Share your homescreen on Twitter, and check out the homescreens of others. When you click on someone’s homescreen via the link they share on Twitter, you’re brought to the Homescreen website, which gives you more details on the specific apps on someone’s homescreen thanks to the app’s built-in image recognition software, according to TechCrunch. If you don’t recognise an app, you can hover over it and get a tidy summary of what it does. One of the coolest features of Homescreen is the ability to see which apps are the most popular among users, which Homescreen keeps track of on its website. Here’s the current lineup of the most popular apps. 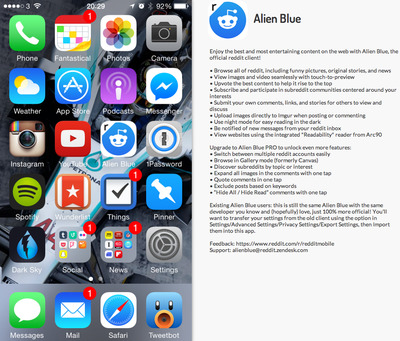 Homescreen’s true potential, however, is its ability to act as a recommendation engine. Apps are already best shared through word of mouth. Personally, if a friend is excited about an app to the extent they will actually take out their phone and show me, I’m a lot more likely to give it a try knowing that one of my friends is already using it. Homescreen could harness this idea, giving users the chance to show their friends which apps have survived since they last needed to free up space. Not too many people know about Humin, for example, but when I show them it’s replaced the Phone app on my dock; that endorsement holds far more weight than a simple tweet. You can download Homescreen for yourself over at the App Store.